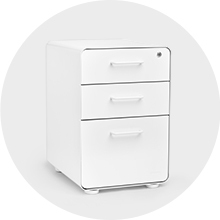 Our best-selling Stow File Cabinet is the stylish shelter your files are seeking. 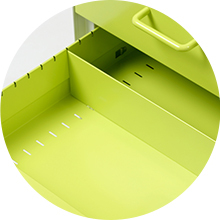 Powder-coated steel construction with peek-a-boo matching steel interior keeps documents and doo-dads super safe. 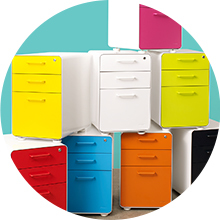 Locking drawers and attachable casters with a full 360° swivel are bound to get you lockin' and rollin'. 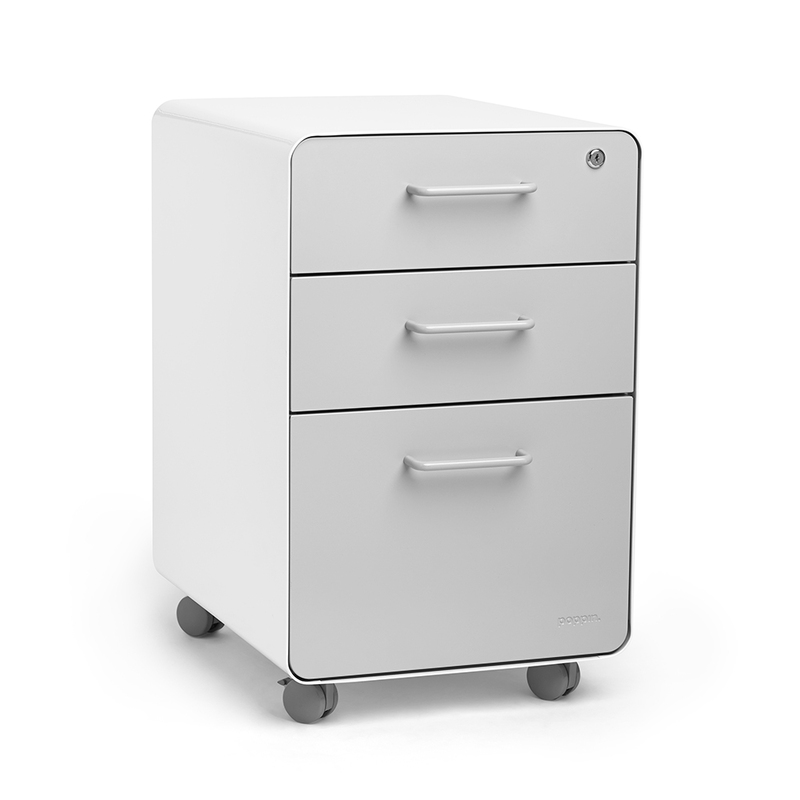 The Stow File Cabinet, Rolling ships in 2 boxes with a total weight of 65 lbs. Casters ship in a separate box.